Bamako - France has asked the UN Security Council to authorise the deployment of a five-nation African military force to fight jihadists and criminality in the Sahel region, with a vote expected as early as next week. What are the origins of the force composed of troops from Burkina Faso, Chad, Mali, Mauritania and Niger, and why is it needed? Burkina Faso, Chad, Mali, Mauritania and Niger - the so-called "G5 Sahel" countries just south of the Sahara - first raised the idea of a regional force in November 2015 in Chad's capital, N'Djamena. The idea then went quiet but was resurrected in the light of the deteriorating security situation in Mali, and following mounting incidents of jihadist violence in neighbouring Burkina Faso and Niger. In January, those three countries decided to create a joint security force on their mutual border, followed by Sahel heads of state announcing the "immediate" creation of a troop corps from all five countries in February. The UN resolution tabled by France quickly followed after new President Emmanuel Macron reconfirmed his nation's commitment to fighting terrorism in the Sahel on a visit to Mali last month. 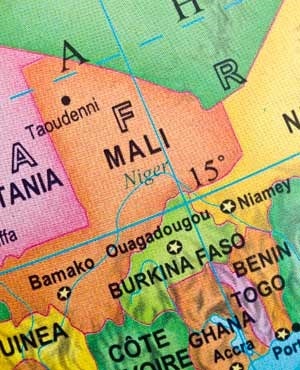 France carried out a military intervention in Mali in 2013 to drive out jihadist groups, some of which were linked to Al-Qaeda, who had seized key cities in the country's north. Although the Islamists have been largely ousted from the north, jihadist groups continue to mount attacks on domestic and foreign forces in violence that has also engulfed parts of central Mali. What is the force's mandate? The draft resolution would authorise the deployment of the force of up to 5 000 military, police and civilian personnel for an initial period of 12 months, though Sahel leaders have expressed ambitions for a 10 000-strong force. The force will operate in border areas and work to "create a secure environment by eradicating the actions of the terrorist armed groups and other organised criminal groups," the UN draft said. UN Under-Secretary-General for Peacekeeping Operations Jean-Pierre Lacroix said on a visit to Mali in May that a phased rollout was envisaged for border regions of the country's centre, an area that has seen an uptick in attacks once concentrated in the restive north. What about the existing foreign forces in Mali? It is also separate to but a complement for the work of France's own 4 000-strong military presence in the region, known as Barkhane. UN Secretary-General Antonio Guterres has called for "close cooperation" between any G5 force and Barkhane. It could offer "improved operational environment for MINUSMA," which has suffered funding shortfalls and the deaths of dozens of peacekeepers, he said. However he urged nations to "maintain their contributions to the (UN) mission", a possible reference to Burkina Faso, Niger and Chad whose troops already make up a third of the manpower of the MINUSMA force. How will the Sahel force be funded? France will include a request to Guterres to propose ways the UN can support the Sahel force through logistical and financial means. The European Union has already promised 50m euros of support, with diplomatic chief Federica Mogherini citing stability of the Sahel region as "crucial not only for Africa but also for Europe." "We have the men and the will, what we need now is the financial resources to back us up," Niger's foreign minister Ibrahim Yacouba said on Tuesday.